“Why do we need to measure in mass flow? What is the difference between ACFM and SCFM? Why are pressure and temperature correction not required when measuring with a thermal mass flow meter? What is the thermal mass flow measurement theory? 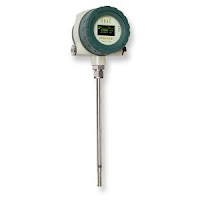 What are common applications to use thermal mass flow meters?” The white paper below attempts to explain these questions and more. The original Sage Metering Document titled "Fundamentals of Thermal Mass Flow Measurement" can be downloaded here.